Use your profile to make yourself stand-out! You can differentiate yourself through your achievements, videos, badges, accomplishments and more. Search through updated job postings relevant to you from our SCI employer partners. Once you’ve found those postings that most appeal to you, you can apply simply and directly through your SCI Connect profile. Employers want to see you in action. 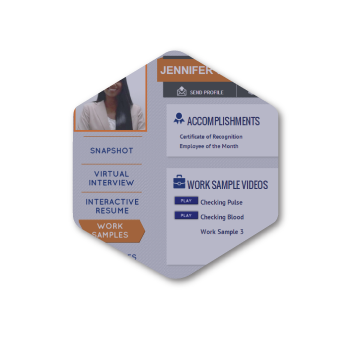 SCI Connect allows you to record and upload videos for hiring managers to get an inside look at the real you and why your unique skills set you apart from the rest of the pack. Our career services team has the tools and know-how to help guide you through the SCI Connect platform. They’ll help you build your profile every step of the way, including recording videos and uploading documents. Your profile will look just as professional as you are. Continue to expand your skills by learning about our new programs. We seek out the skills needed in the local community and create them for our students continuing education. Finish earning and stay updated on all of your certifications at a discounted rate. This saves you money, and adds to your resume, making you more qualified for more advanced positions. Our Career Services team is just like your own personal recruiting firm. They will walk you through SCI Connect, provide you with the tools to build your profile and find the right jobs for you. Whether you graduated last week or years ago, we are committed to securing our alumni with long-lasting job placement in their program certification field. These interactive profiles may look daunting, but we have taken great care to make this as simple as possible. Build and customize your profile in a few easy steps. Having trouble or feeling overwhelmed? Our Career Services staff is here to help you every step of the way to get your SCI Connect profile looking perfect! This is no black and white resume template. In fact, you’ve got the power to decide how you want to let your personality and style shine through to employers. 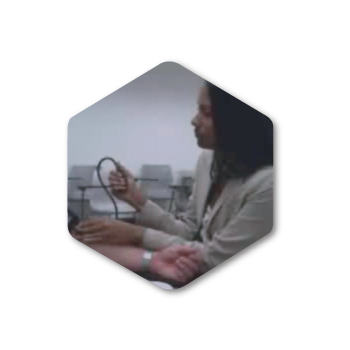 Our virtual interviews allow you to practice how you’ll answer interview questions. Once you’ve got it down, keep your recording on your SCI Connect profile so that employers can see how you’ll answer industry-related questions.